Serving the greater Charlotte area from South Charlotte to Mooresville. We belong to the International Association of Home Staging Professionals, Charlotte IAHSP, Chamber of Lake Norman, Chamber of Cabarrus, e-women network, and Biz Network. We Specialize in Staging OCCUPIED & VACANT Houses - of all sizes, styles, and prices. Staged Homes - Occupied. Our team will rearrange, neutralize, declutter and do whatever needs to be done to make your house look its best using all of YOUR stuff. 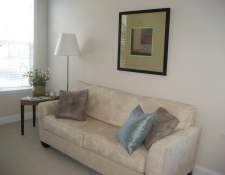 We may suggest incorporating a few key acccessory or accent furniture rental pieces if we need. 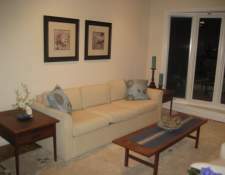 Staged homes - vacant. They are stark and cold looking. Most people cannot visualize the space when a property is empty. Domaine will bring in all the furniture and accessories to give the house that WOW factor. Staged homes - model. This is when the whole property is staged top to bottom. This staging will look like a lived-in house and will have the draperies and look of a model home at a fraction of the cost. Staging is a KEY MARKETING TOOL - for both Realtors looking to add to their overall services offered to Buyers, and for Sellers looking to differentiate their house from the competition - Staging is the ANSWER! 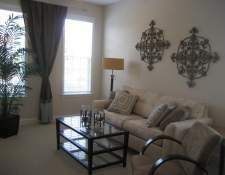 Staged home - staging to live. This is for when you want your primary residence to get a face-lift or makeover. Staging - Commercial. Can help with colors, furniture and cubicle placement, purpose and flow of room. Increase your bottom line and employee productivity. Staging - Event. We can help with any event no matter how small or large. We are equipped to transforming everything from stages, conventions, to clubhouses for parties. We can stage without leaving permanent marks and large holes. We have a large warehouse of furniture and accessory rental inventory. No more separate contracts with the rental companies, we do it all. We have our own 20' box truck and use only licensed and insured movers. Our team is comprised of all ASP professionals. 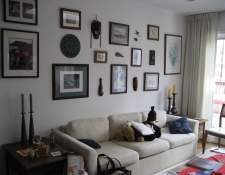 We do a comprehensive report of what needs to be done in order for your property to be deemed as staged. This is usually a 15-20 page report, and we give you a deadline of when things need to be done so we can come back to fine tune and upload the photos for MLS and Stagedhomes.com. Faster Sales Time - sells in HALF the time than a non-staged home. Higher Sales Price - by 7% Great Listing Tool Marketing Advantage - we market your property on Stagedhomes.com, which gets over 10 million hits per month. We also upload and make a show of your property on real estate shows, and send it to a list of realtors, alerting them of a new staged listing. Buyers view Staged Homes as well-cared for Staged Homes are appraised higher than a non-staged home Gain more referral and repeat business TRUST your property and investment to an experienced company in our region We are Licensed and Insured - which protects YOU and YOUR HOUSE. Make sure that anyone you work with shows you PROOF of insurance!